It's the final week of challenges for Season 7, let's take a look at how to complete them! 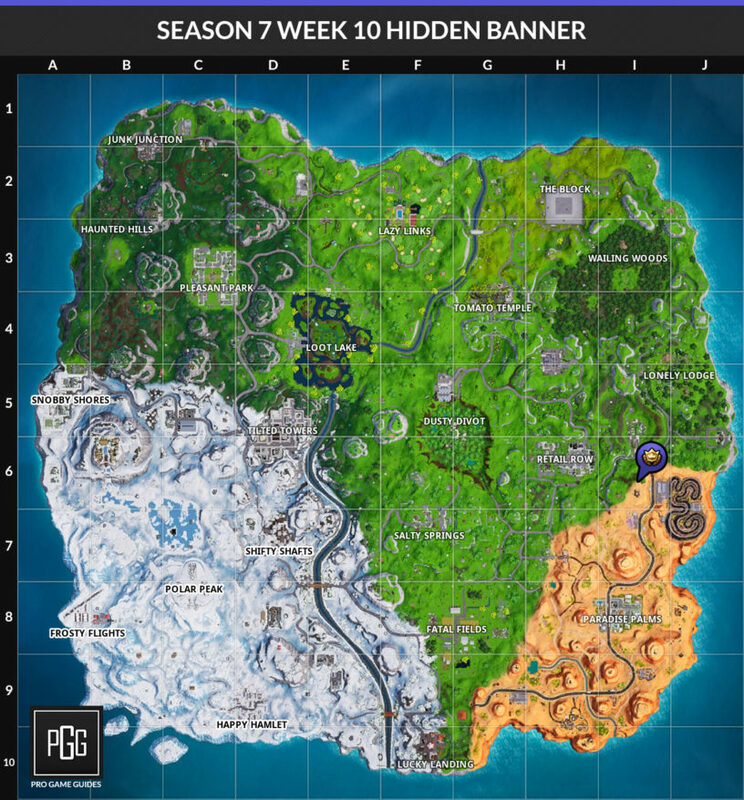 Our Fortnite Season 7 Week 10 Challenges List and Cheat Sheet brings you all of the solutions and answers for the challenges you need to complete for the week. We have maps to treasure and item locations, as well as tips for completing all of them as quickly as possible! This week we're placing mounted turrets or damage traps, searching chests at Lazy Links or Dusty Divot, getting assault rifle eliminations, dealing damage with scoped weapons, getting high scores on shooting galleries, visiting Expedition Outposts, and hitting opponents with Chiller Grenades or Boogie Bombs! This is an easy one, just make sure to place these as soon as you get them so you don't get eliminated and forget to do it. There's no real trick to finding them, just run around quickly looking for loot and opening chests. Both these places aren't too bad for landing, so I imagine they are both going to be pretty populated due to the challenge. Dusty Divot is probably the better option because there's so much stuff around. The problem for Dusty is that it's in the middle of the map and will always be easy to land from the bus. Lazy Links can sometimes be pretty far from the bus path, so it might be worth gliding for it for some easy chests. Pretty easy one, just make sure you prioritize using your assault rifle. Try not to spray too much with these, it's way easier to control your shots if you tap fire. Well, you can finish this in one shot if you get yourself a sniper rifle, but it might be easier to use a scoped assault rifle or thermal rifle if you are newer to the game. Outposts are those big red tents all over the map and are usually accompanied by an airplane. Land at one of the airplane ones so you can fly around to visit all the ones you need. 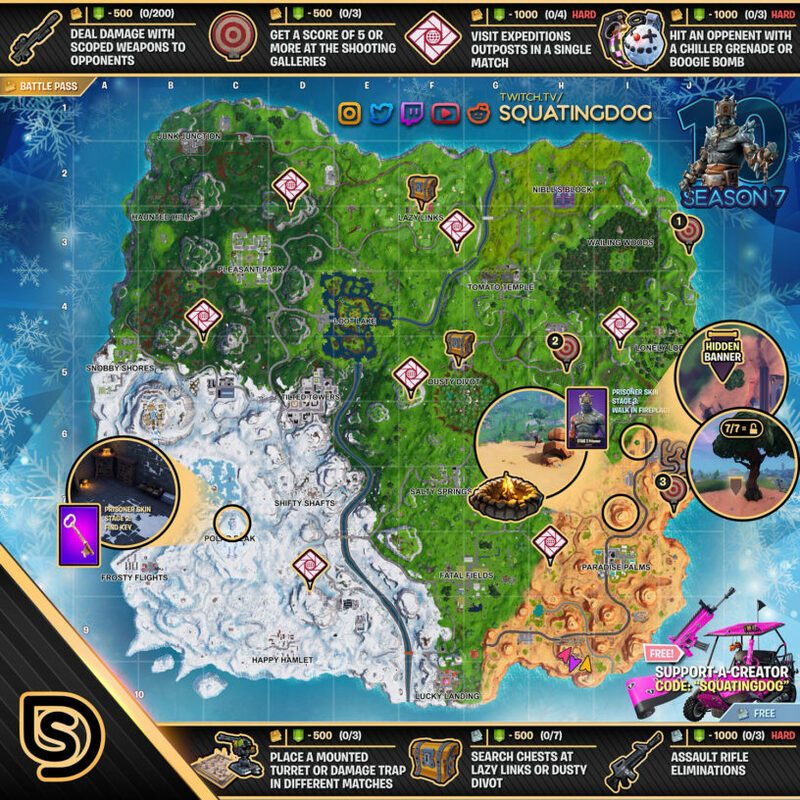 You can find all the locations on the cheat sheet! This one might be a bit difficult because first you need to find these, and then you'll need to land them on people. Your best bet is landing in a high population area so there will be plenty of targets available. However, then you'll actually need to find these. I highly recommend doing this one in an LTM because it'll be much less of a headache. 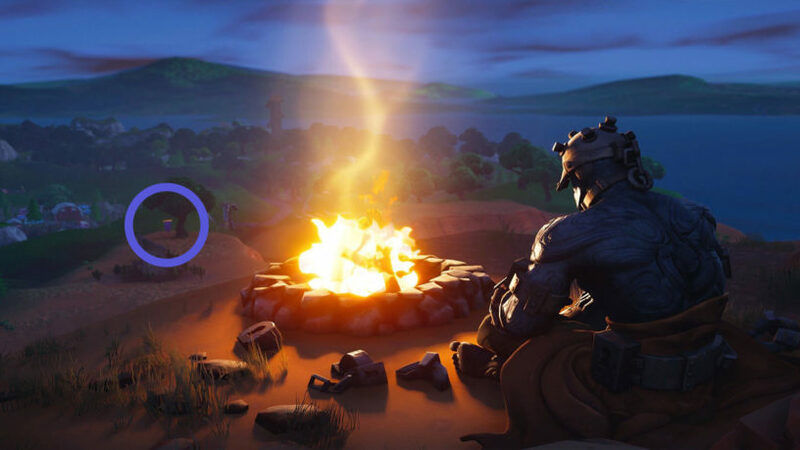 Once you complete all of the week 10 challenges you will get this loading screen of The Prisoner chilling out by the campfire. This is over in the Paradise Palms area, and is near that shack with the cactus surrounding it. You can find the exact location on the map below, it's to the left of the big tree that's ahead of the cactus. Did you watch the video I included? That should help you finish it, I’d have to know more about the problem before I could help!